The business-arena is filled with managers that have a hard time recognizing and keeping talented people, which oftentimes hurts both productivity and the mission of a company. Being a manager is no easy task and requires sharpened instincts and a desire to help subordinates grow with an understanding of creating a win-win situation for the entire team. With over six years of managing people from college to the workplace and now building my own start-up, I have learnt some lessons and creative ways to keep talented employees from quitting, while helping them to become better human beings and contribute immensely to the projects at hand. In order to create an inspiring and motivational culture in the workplace that keeps exceptional employees from quitting, smart managers must think beyond the norm. Here are six ways that smart managers can keep their exceptional employees from quitting, while creating more impact as a team. No matter how tough some human beings may portray themselves to be, everyone has a soft spot for appreciation and accolades. Smart managers recognize the importance of rewarding their exceptional employees by appreciating the valuable contributions they bring to the table. It's crucial for managers to find out what makes their employees feel good about themselves and factors that drive their overall performance on the job. 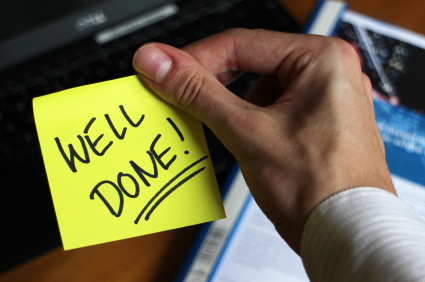 Recognition and rewards reinforce a stronger commitment from the employee and encourages them to keep working hard. While thank you cards, movie trips, custom gift cards or other simple recognitions might work for some projects, other projects should carry a heavier weight and could include a raise, promotion, incentive trips and other memorable experiences that create a stronger connection and yield better commitment from employees. Nothing lights a fire like a man who brings his passion into his job. In order to create a work environment that encourages positive flow, smart manager's help provide opportunities that encourage their employees to pursue their passions in the work place. By paying close attention to what drives employees, you might just recognize that one of your employees with a passion for community development will serve better when he/she gets involved with Corporate Social Responsibility (CSR) related projects during specific periods. Employees that are passionate about their jobs improve their productivity and overall output on the job. Most managers care less about their approach to their employees. However, some have recognized the importance of caring and showing empathy towards their staff. Managers who care enough will celebrate successes, challenge employees to maximize their potential and empathize with them when they are going through hard times. Smart managers understand the importance of emotional intelligence and are able to balance being professional and being human. Sometimes showing care can mean listening to an employee's concern about their job or a particular issue. By being flexible and leaving your door open as a manger to employee concerns, employees will feel like they are part of an organization that truly cares about their voice and well being. Having a vision for a particular project or cause helps individuals to feel a sense of purpose and connection to the vision. In order to get the best out of an employee, it's important that they understand and believe in the vision and mission of the company. Managers are responsible for making sure that employees run towards this vision, even during down-times. 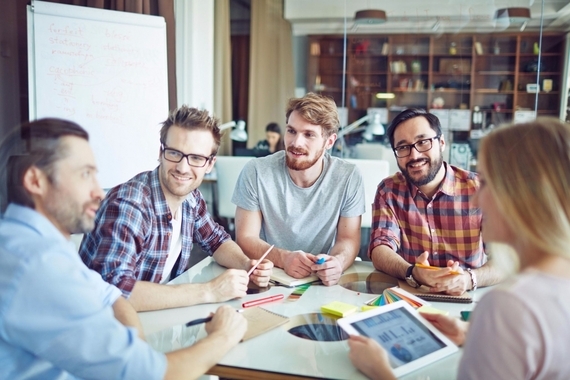 By communicating that vision and core values to employees, they understand the impact that the company aims to achieve and help to drive the company towards its mission. When employees understand the vision of a company, and how their roles contribute to achieving that vision, then an exceptional output is expected. They feel a sense of responsibility and identify with the core values of the company, which is seen in their approach to work, and creates a better decision making process. While some employees are motivated by the rewards they get, nothing beats that intrinsic motivating factor. Using financial compensation as incentives definitely has an expiring date and can hardly retain top talent and drive high performance. As a manager, it's important to ensure that your employees are constantly motivated and inspired on the job, whether it's through rewards, bonding time or just generally encouraging them on the job. People are generally happy when they make progress in life. By creating a consistent structure for developing the skills and potentials of their exceptional employees, smart managers recognize the impact it will have on their entire output as a team. Great managers, keep finding ways to help talented employees improve and expand their skill sets and potential. It is important to note that such employees get bored easily and crave a reinvented work environment where they can constantly feel useful and keep innovating projects. By challenging them on the job and giving feedback on their performance, smart managers create an avenue that helps exceptional employees to thrive both at work and in life.